Planning for a “Free & Easy” trip to Spain is not a simple task! Most information on internet relating to Spain travel (especially the maps) are in Spanish, which makes researching quite challenging. Spain a huge country and travelling between cities to visit places of interest may take several hours of train rides. Hence, planning to travel between cities must be very detailed like early set off to ensure ample time to visit all the attractions, when to catch the last train, etc. So, the first thing is to decide which cities you want to visit. Once you narrowed down the cities, you start by planning your inter-city traveling route, then where to stay and lastly intra-city transportation. Do not wait till last minute to plan because you’ll weeks to plan where to visit and months ahead to book affordable accommodation near transport hub, shopping area and places of attraction. Tip #1: Before you leave for Spain, google and download the city metro (subway) maps and plan according to the train routes. Tip #2: Get a Rail Europe Pass . 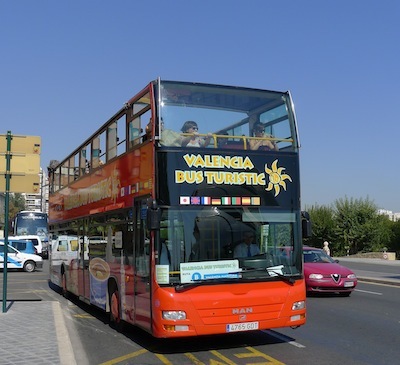 Each major city like Barcelona, Madrid, Seville and Valencia has its own “hop-on and hop-off” open top tourist bus. Tip #3: Take the sightseeing bus if you do not want to exhaust yourself with the incessant walking! It’s definitely the easiest and most relaxing way to visit all the places of interest. Most of city tour buses have different routes to cover modern and historic places of interests. Just alight at the location you would like to visit, then hop back on to the bus for the next destination. After all, traveling is supposed to be fun, relaxing and enjoyable! 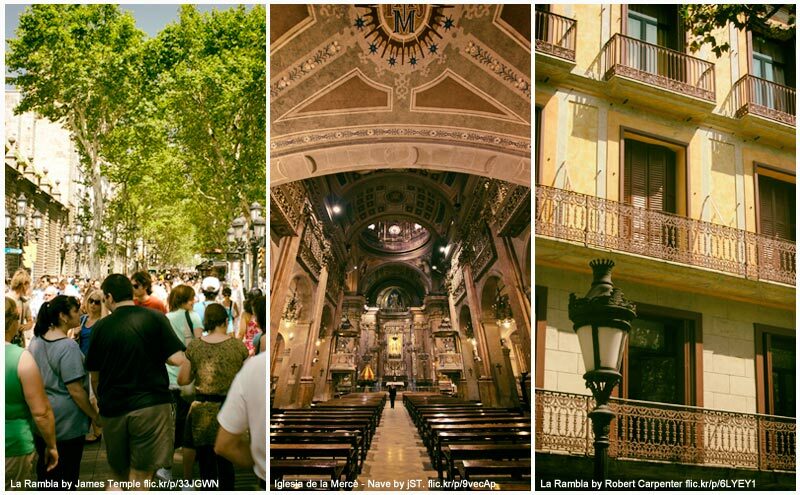 Some cities like Barcelona may require two full days to cover most attractions. Hence it is advisable to get a 2-day pass instead. The price of the passes ranged from €18 to €30 per person. 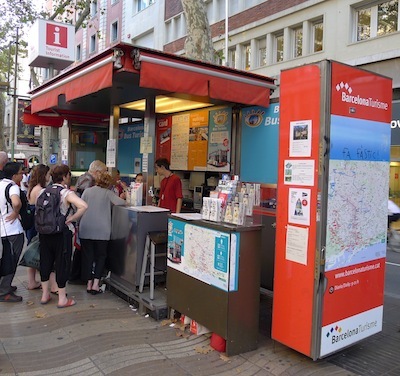 The easiest way to locate these tourist buses is to approach the city’s local tourist information center. When you arrive at the city’s main train station, ask the customer service for the nearest tourist information center. The information center guides can speak pretty good English and they will be able to advise you where to take the tourist buses. Tip #4: Always look for the Tourist Information Center. I found that the information provided at the Tourist Information Centre most accurate and helpful. If you ask pedestrians for directions or help, you will most likely encounter local folks who cannot speak much English. Worst still, some may even give you the wrong directions!